Southwest Rapid Rewards Priority Worth It? 60000 rewards points bonus for the sign-up. There is no foreign transaction fee of Southwest Rapid Rewards Priority. This is good if you travel abroad or if you purchase from abroad. 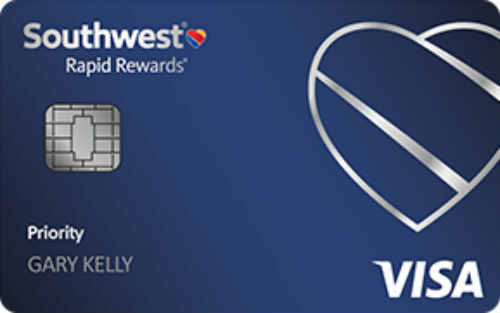 Southwest Rapid Rewards Priority is designed for Southwest Airlines. We only recommend this card for only those who purchases flights from this company. Otherwise this card won't provide any benefit to you. We even doubt it though. All interest rates and all fees of the card is high. There is not any bonus when you redeem rewards for travels. There is no benefit of annual bonuses since they are equal to annual fee. Southwest Rapid Rewards Priority is a travel credit card which you can gain bonus from Southwest Airlines. The card comes with many sign-up bonuses to consumers but rates of the rewards are not very attractive for consumers. You are going to pay $145 annual fee for the card which is high for this card since it doesn’t offer good rewards but only purchases from company. Consumers will have a chance to earn 60000 bonus rewards with the card. They are going to get 40000 bonus rewards when you spend $1000. If you spend $12000 with the card, you are going to earn 20000 bonus rewards too. Every year you are going to get 7500 rewards points and additionally you are going to get $75 travel credit from Southwest Airlines. 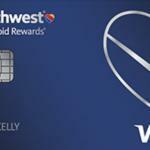 Reward rates of the card is focused on purchases from Southwest Airlines. You are going to get 2x rewards points on purchases from Southwest Airlines. Rest of purchases are going to be 1x. There is not any benefit if you redeem these points for travel. 5% balance transfer fee and cash advance fee are high. Current interest rates of credit card is very high as well. Since this is a very limited rewards card, we recommend you to check another good opportunity which provides 3x rewards points for flights and some good rewards rates for travels. Because of high fees and interest rates this card is far from being profitable. You can check user reviews, rates and editor scores of the card below. You can read some users reviews of Southwest Rapid Rewards Priority below.